Hamsters do it, cats do it, human mothers expecting babies do it. And guess what? I’m expecting a puppy and I’m doing it too! I have a nesting instinct! Nesting is a ritual performed by pregnant women in ridding the house, the “nest”, from anything potentially harmful to the soon to be born child. Since this is the first time I’ve had knowledge of a new arrival to our home of more than 2 hours, yes I found out in October he would be heading to our house in January the nesting instinct has come on in full swing. Our backyard is pretty safe for the girls. A few years back we had a fence installed around the pool, you can read the post HERE, so there wouldn’t be any accidental drownings. We do have a pets control company for spring summer and fall but all pets are kept inside the house untill all is dried outside. Monthly checks of the fence are made to insure all is secure and we don’t have anybody getting “out” by mistake. And even though we have a grassy backyard, the winter time seems to make it a little soggy so we created a new little potty area! As you can see I am trying to prepare as much as possible for not only the puppy arrival, but the arrival of EL NINO!!! 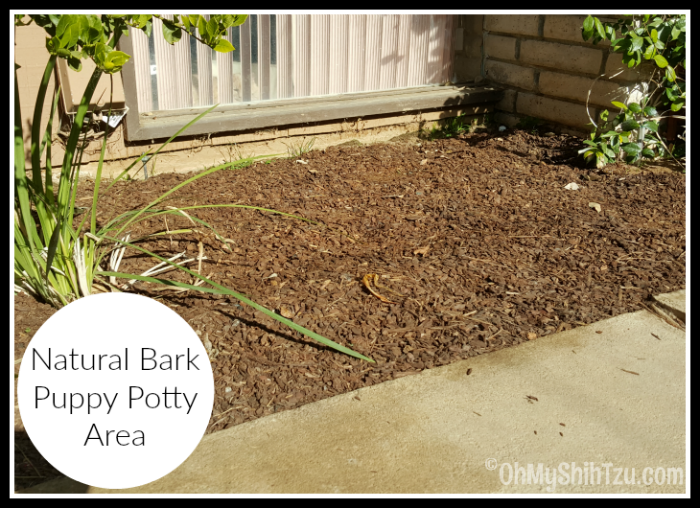 Just remember if you decide to make a bark potty area use natural bark that has no coloring or additives. When Riley was little she had a penchant for computer mice. I learned quickly to place mice in places she could not get to ( I use a laptop). But this time around I am making sure all cords and mice are kept neatly up and away. Lesson learned on that one. Another very important change we made was securing the bookshelves in my office. Did you know that according to the US Consumer Products Safety Commission, “…a child is admitted into the hospital every 30 minutes from a tip over incident involving a TV and/or furniture” . Now I know that my dogs don’t have the ability to climb up furniture and make it tip over, but we live in California! Earthquake country! 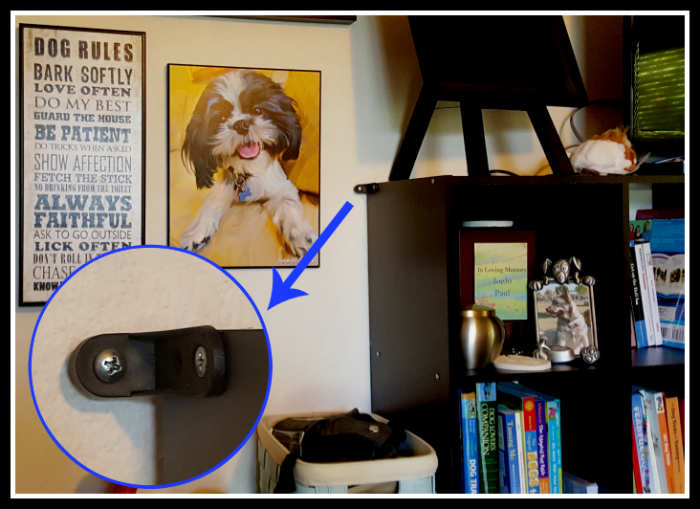 So I thought a little safety and preparation was in order… next step is securing all the TV’s to the wall. So I’m thinking my nesting instinct phase is going along great. I know after the puppy arrives I’ll be making more trips to the pet stores to buy more “stuff”. I’m so excited about our new puppy. But this is intensified even more by the fact that he’ll be the only boy. Yes he will be the little prince in a harem of girls. 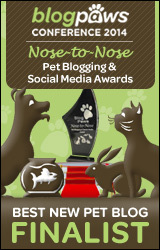 Be sure to join us for our upcoming post Puppy Parenthood Preparation. In the meantime, before getting a new puppy have you gone through a nesting stage? Let me know in the comments below! The puppy potty area is a brilliant idea! I like the new puppy potty area too. When we were preparing for all of our dogs, I nested like crazy. I loved it. Today, we have a full-fledged dog home. It’s the way it should be. I love the new puppy potty area, that’s smart!